Two days spent at Chiltern-Mount Pilot National Park were well rewarded. 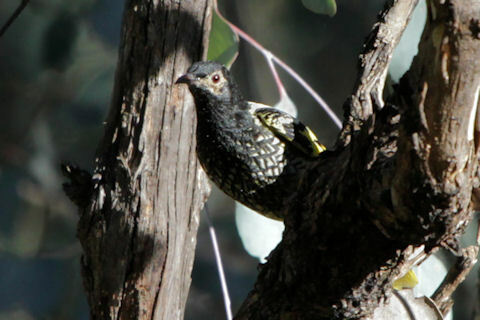 The weather was great, the environment beautiful, and among the birds we saw, there were a couple of Regent Honeyeaters. This is an unbanded adult. It was keeping company with a banded Regent Honeyeater.